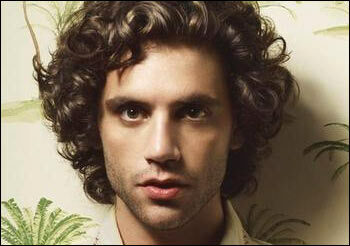 Mika, born Michael Holbrook Penniman, Jr., 18 August 1983) is a British singer-songwriter. After recording his first extended play, Dodgy Holiday EP, Mika released his first full-length studio album, Life in Cartoon Motion, on Island Records in 2007. Life in Cartoon Motion sold more than 5.6 million copies worldwide and helped Mika win a Brit Award—winning Best British Breakthrough act, and receive a Grammy Award nomination. In 2006, Mika started up his company, Dodgy Holiday Tours Limited. Two years later Mika released his second extended play, Songs for Sorrow, of which limited edition copies are now sold out worldwide. In 2009 Mika released his second studio album, The Boy Who Knew Too Much. Finishing his worldwide tour, Mika started writing and recording material for his third album, The Origin of Love, stating it will be "more simplistic pop, less layered than the last one". The album will be released internationally on 16 September 2012 and in the UK on 8 October 2012.